One day, driving along the curvy road next to my street, my eye latched onto a white piece of paper stuck in the grass on the side of the road. 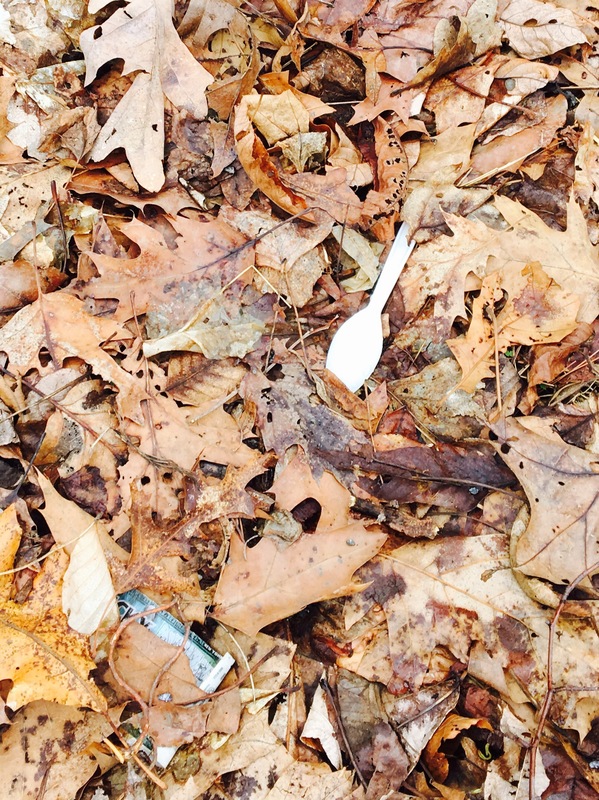 As soon as I saw that piece of litter, I saw the rest – cups, containers, bottles. There was too much to count, too much for one person to even stop and pick up. Is it really that inconvenient to hold your trash in your own car and then dispose of it later, I wondered. Someone else should worry about it. It’s not my problem, I thought. Then there was some trash talking – not, the trash talk between adolescents on playgrounds and basketball courts – the garbage was speaking to me. This is what the Roadside Rubble had to say. Mr. Styro had been resting firmly in the grips of his purchaser, a dad-like guy, who was going at break-neck speed down a narrow windy road. Without a goodbye or any proclamation Mr. Styro was launched through the car window and onto the side of the road. “What is this place?” Mr. Styro asked. 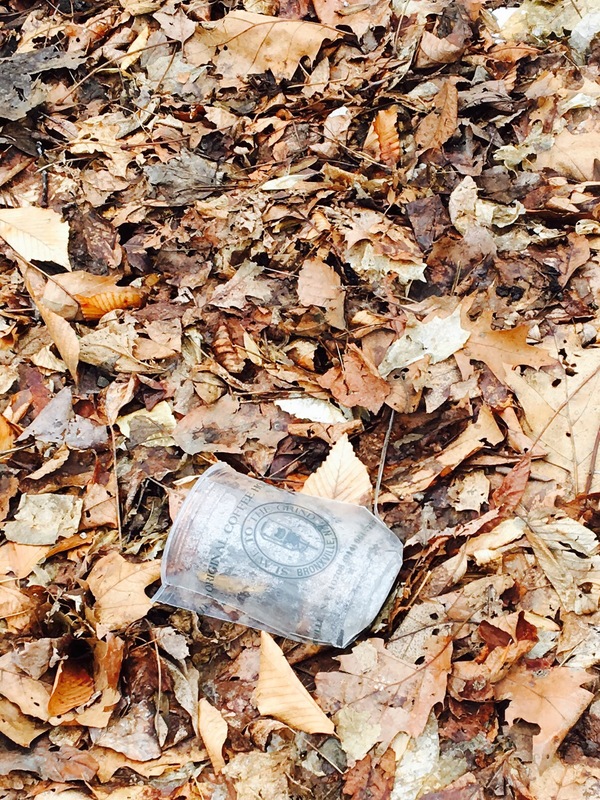 There were brown, crunchy leaves beneath and large trees lurked in the background. He was not trained for this environment. This was no coffee shop. “You’re in the land of the discards, the roadside rubble, the unwanteds. We go by a lot of names, actually,” the cup motioned to the other cups and plastic containers and paper wrappers around. There was a deflated beach ball nestled against a log and a large rubber tire partially submerged in the earth. Mr. Styro trembled. Everyone around him looked so…damaged. “How long have you been here?” Mr. Styro asked. Mr. Styro saw the wrappers hanging out telling jokes. Old Cutie and the other cups were keeping warm in the one sunny spot. All the plastic utensils huddled together. They must be used to being in a pack, Mr. Styro thought. Mr. Styro wanted to take notes, wanted to keep himself from further misery. When he was born at the factory with his other family, they told him it was his duty to serve wherever he was called: coffee shop, office, birthday party. And it was his duty to handle the heat, to provide caffeine to the humans who needed it all day long. He’d have a great tour. He’d see the world, and, when his tour was over, he’d meet back with everyone at the landfill. No one ever mentioned anything about roadside rubble. The cup took him around to meet the other cups, each one starting to decay just a bit. The plastics still looked remarkably well. One plastic salad container told him that they were thinking of splitting into two groups: true plastics and biodegradable plastics. The paper products were all lumped together: wrappers, containers, newspapers, homework assignments, receipts. They lived each day like a party because they were the first to go. Then there were the others: a group of misfits who didn’t have enough of their kind to form their own group. The deflated beach ball, the broken lawn chair, and the clothing all stuck together, but didn’t speak much. The old tire seemed to be the elder, and he was certainly stuck in his ways. Mr. Styro looked up when he heard the screams. A tiny long plastic green thing was flying through the air; another toss from a fast-moving car. The skinny green stick stood on its one leg, it’s tiny round head shaking in disbelief. “Splash sticks go over there,” Duncan pointed to a small group in the shadows of the paper cups and plastic lids. Mr. Styro recognized him. Cups, stirrers and splash sticks were like different troops working in the same battle. He felt sorry for the little guy, who was used to being supported by the cups and the lids. “Why don’t they move, get out of harm’s way?” Mr. Styro asked. 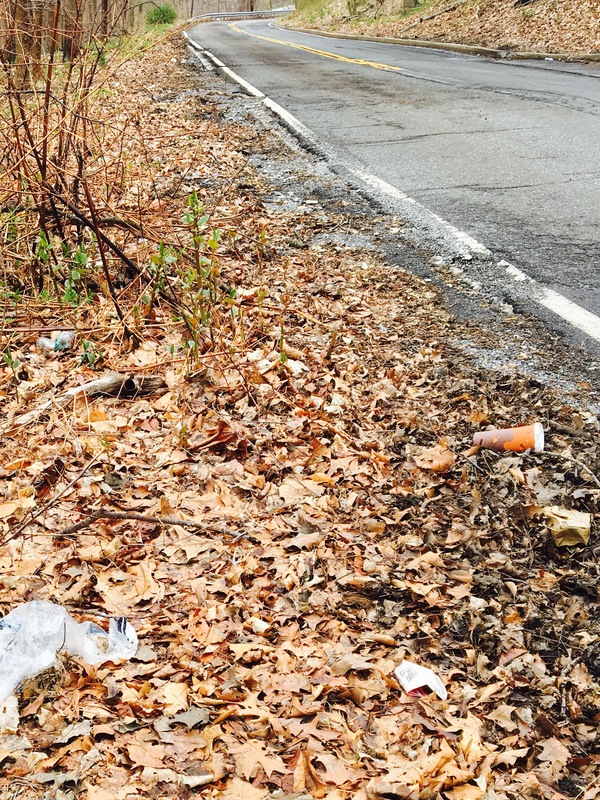 On Earth Day make a vow to be mindful with your garbage, and please, think twice before adding to the Roadside Rubble. What are you doing for the Earth today? This was an amazing and relevant piece! I truly enjoyed the way that you presented this issue. Well written and powerful! Thank you Susan! I love your blog!